According to the MLB CBA, players with at least 10 years of major league service time who have been with their current club for at least 5 consecutive years cannot be traded without their consent. This clause is rarely relevant due to either its difficulty to obtain or the fact that the player has already negotiated a no-trade clause into his contract. Most players never accumulate 10 years of service time and reaching that point while staying with a team for at least five straight years usually requires a significant skill level. This is why these rights are so rarely mentioned. The caliber of player who would have them would usually be able to negotiate a no-trade clause into their deal regardless. Derek Jeter can't be traded because of his 10-and-5 rights, but if those didn't exist I hardly think he'd have a difficult time obtaining a no-trade clause. Many players also are able to get a no-trade clause before they even have 10-and-5 rights. This is usually the result of being drafted by a team and signing an extension before hitting free agency. Adam Wainwright has only slightly over 8 years of service time, but when he signed his extension in 2013 he also got a full no-trade clause. This effectively only matters until the end of the 2015 when his 10-and-5 rights would kick in about a month into the season, however it does mean that if he chooses to waive his rights and be traded he would keep the no-trade clause on his new team. There are less obvious cases though where a player, not necessarily a superstar, is able to stick around with a team for long enough to get his 10-and-5 rights. These are particularly important when there was no no-trade clause previously negotiated into his contract. The following are some of the more interesting cases where a player could gain 10-and-5 rights over the next year and what effects it may have. Players are listed with their service time entering the 2014 season in the form years.days. Note that a year of service time is equal to 172 days. 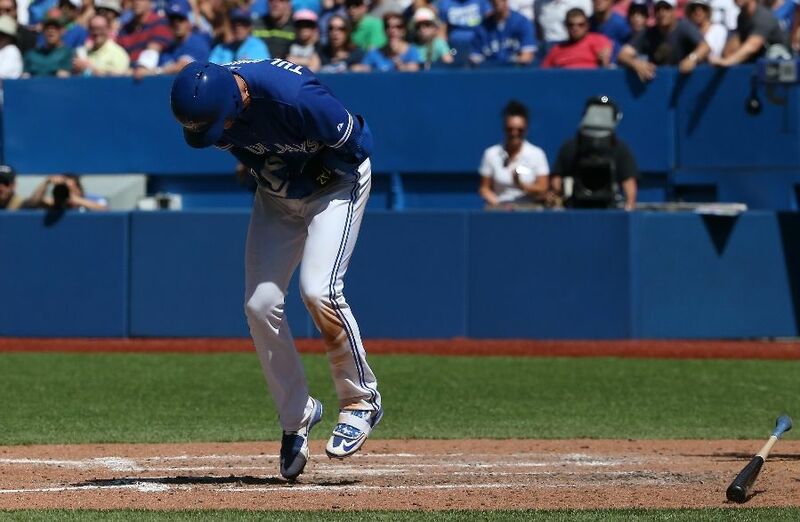 Jose Bautista will gain his 10-and-5 rights a week into the 2015 season. He's signed through the 2015 season with a team option for 2016 which will be his age 35 season. At the moment that 2016 option seems like a no-brainer to pick up, but with the Jays aging and expensive core, that 2016 option may become difficult to exercise if Bautista cannot be traded without his consent. If the team and Bautista do not age well over the next season, only warm memories may keep him in Toronto in 2016. John Lackey has an extremely unusual contract. Due to injury concerns when he signed with the Red Sox, there was a clause inserted into his contract that if Lackey missed significant time due to injury, the Red Sox get a team option for 2015 at $500K. With Lackey having missed the 2012 season, but now back to pitching adequately, that option for next season looks like a steal. 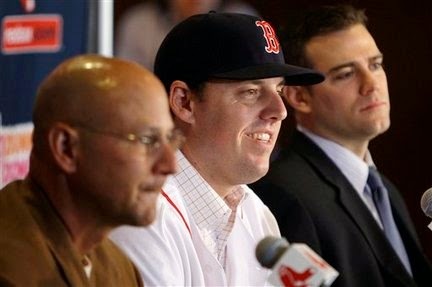 However since it comes after his initial 5 year deal with the club finishes, Lackey will also get his 10-and-5 rights if the Red Sox pick up the option. It's ironic that one of the most tradeable contracts in baseball becomes untradeable due to the length of Lackey's previous deal. I don't think that this would prevent the Red Sox from picking up the option, however if they try to negotiate an extension instead, a no-trade clause is not something that Lackey would need to negotiate. Now in his fifth season with Oakland, Crisp has already signed three different contracts with the Athletics. This is one of the more unusual scenarios for 10-and-5 rights to pop up. A player bounces around with a number of teams (the A's are Crisp's fourth), however a number of short deals allows a player to stay in one city long enough to gain his no-trade rights. With Crisp signing an extension through 2016 (plus a 2017 vesting option), if he stays with the Athletics for the rest of the season, he can no longer be traded without his consent. This doesn't exactly fit in with the Athletics M.O. as he'd be the only player on the team with a no-trade clause and the Athletics are one of the more active teams on the trade market. It therefore wouldn't shock me if Crisp was dealt before the trade deadline this year just so the Athletics can avoid this situation. They may be a first place team right now that relies on Crisp's skills, but it's small moves like this that allow small market teams like Oakland to be competitive every year without being hamstrung by difficult contracts. There have been trade rumours surrounding Phillips for a couple years now and to protect himself he had a limited no-trade clause (can't be dealt to 10 teams) negotiated into his most recent deal. However once we pass the August trade deadline this year, that limited no-trade clause will turn into a full no-trade clause under his 10-and-5 rights. That's a scary proposition for the Reds who have Phillips signed through 2017, his age 36 season. Middle infielders aren't exactly known for aging gracefully: his OBP and SLG are both down for the third straight year. This will be a tough decision for the Reds who are still trying to make the playoffs this season, but if they keep Phillips past the trade deadline, he's their second baseman for the next three years. Rickie Weeks has spent his entire career playing second base for the Brewers where he was once an all-star in 2011, however has since been a poor hitter and fielder, and only part time player. He has a vesting option for 2015 based on his PAs this season that he will almost assuredly not reach. This likely means that this season will be Weeks' last in Milwaukee. He's now a below average player who would get his 10-and-5 rights a little over a month into next season. The Brewers can find comparable talent elsewhere (Scooter Gennett is working well) without being held hostage by a no-trade clause. De La Rosa will gain his 10-and-5 rights before the end of the season, but as a free agent going into 2015, the Rockies shouldn't feel any more pressure to deal De La Rosa than they would if he wasn't gaining those rights. De La Rosa will probably be looking to get a multi-year deal in free agency and will explore his options around the league. It doesn't make a lot of sense for the Rockies to sign De La Rosa given their current situation especially since he would get a no-trade clause, something De La Rosa would probably have difficulty obtaining from most other teams. Belisle is a free agent after this season so he would only get his 10-and-5 rights near the end of next season provided he re-signed with the Rockies, so this is likely irrelevant, but Belisle is a particularly interesting case since he is a reliever. Staying with a team for five seasons is generally the exception for relievers, even for the best of them. No current closer for example is even close to obtaining 10-and-5 rights. Belisle hasn't exactly been exceptional for the last few seasons and I doubt that the Rockies are interested in making him one of the few relievers in the league with trade veto rights. It's seems likely that Belisle is pitching in a different jersey next season. It should be noted that for all these cases when I say a team is "stuck" with a player due to their 10-and-5 rights that isn't entirely true. Players can waive their 10-and-5 no-trade rights just as any player would with a no-trade clause negotiated into their contract. However these are all situations where the team likely never intended for a player to get a no-trade clause and may soon have to deal with the consequences of the players' increased leverage. Note: This was originally posted on Fangraphs Community Research. Over the last decade, Fielding Independent Pitching (FIP) has become one of the main tools to evaluate pitchers. The theory behind FIP and similar Defensive Independent Pitching metrics is that ERA is subject to luck and fielder performance on balls in play and is therefore a poor tool to evaluate pitching performance. Since pitchers have little to no control over where batted balls are hit, we should instead look only to the batting outcomes that a pitcher can directly control and which no other fielder affects. In the case of FIP, those outcomes are home runs, strikeouts, walks, and hit batters. However there are many serious issues with FIP that collectively make me question its usage and value. These issues include the theory behind the need for such a statistic, the actual parameters of the formula’s construction, and the mathematical derivation of the coefficients. Let’s address these issues individually. A common statement when discussing FIP or BABIP is that pitchers have little to no control over the result of a ball once it is hit into play. A pitcher’s main skill is found in directly controllable outcomes where no fielder can affect the play, such as home runs, strikeouts, and walks (and HBP). In trying to estimate a pitcher’s baseline ERA, which is the objective of FIP, the approximately 70% of balls that are put into play can be ignored and we can focus only on the previously mentioned outcomes where no fielder touches the ball. The concept of control is a little fuzzy though and something I believe has been misappropriated. It is definitely true that the pitcher does not have 100% absolute control over where a batted ball is hit. There is no pitch that anyone can throw that can guarantee a ball is hit exactly to a particular spot. However in the same vein, the batter doesn’t have 100% absolute control either. If you were to place a dot somewhere on the field, no batter is good enough to hit that spot every time, even if hitting off a tee. However this lack of complete control should not in any way imply that the batter or pitcher doesn’t have any control at all over where the ball is hit. 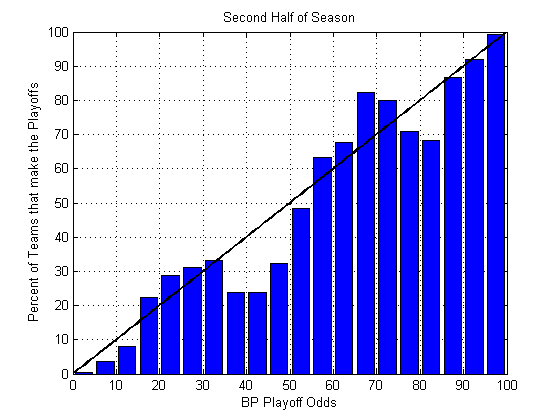 Batters hit the ball to places on the field with a certain probability distribution depending on what they are aiming for. Better batters have a tighter distribution with a more narrow range of possibilities and can more accurately hit their target. For example consider a right-handed batter attempting to hit a line drive into left field on an 80 mph fastball down the heart of the plate. A good hitter might hit that line drive hard enough for a double 30% of the time, for a single 30% of the time, directly at the left fielder 10% of the time, and accidentally hit a ground ball 20% of the time. Conversely, a worse batter who has less control over his swing may hit a double 10% of the time, a single 10% of the time, directly at the left fielder 15% of the time, an accidental ground ball 25% of the time, and in this case not even get his swing around the ball fast enough and instead hits the ball weakly towards the second baseman 40% of the time. Where the pitcher fits into the entire scheme is in his ability to command the ball to specific locations, with appropriate velocity and spin, as to try to sway the batter’s hit distribution to outcomes where an out is most likely. Consider the good hitter previously mentioned. He accomplished his goal fairly successfully on the meatball-type pitch. What if the same good batter was still trying to hit that line drive to left field, but the pitch instead was a 90 mph slider on the lower outside corner? On such a pitch the good batter’s hit distribution may start to resemble the bad hitter’s hit distribution more closely. This is a slightly contrived and extreme example, but it also encompasses the entire theory of pitching. Pitchers are not trying to just strike out every batter, but instead pitch into situations and to locations where the most likely outcome for a batter is an out. By this reasoning the pitcher has a lot of control over where and how a batted ball is hit. This does not mean that even on the tougher pitch that the batter can’t still pull a hard double, or even that the weak ground ball to the second baseman won’t find a hole into right field, these are all still possibilities. However by throwing good pitches the pitcher is able to control a shift in the batter’s hit probability distribution. Similarly, better batters are able to make adjustments so that their objective changes according to the pitch. On the slider, the batter may adjust to try to go opposite field. However a good pitch would still make the opposite field attempt difficult. This is all to say that better pitchers have more control over how balls are hit into play. They are able to command more pitches to locations where the batter is more likely to hit into outs than if the pitch was thrown to a different location. Worse pitchers don’t have such command or control to hit those locations and balls put into play are decided more by the whims of the batter. FIP takes this control argument too far too the extreme. There is a spectrum of possibilities between absolute control over where a ball is hit and no control over where a ball is hit that involves inducing changes in the probability distribution of where a ball is hit, which is how the game of baseball is actually played. As a simple example, we see that some pitchers are consistently able to induce ground balls more frequently than others. Since about 70% of all plate appearances result in balls being put into play, it is important to actually consider this spectrum of control instead of just assuming that the game is played only at one extreme. Let’s pause though and ignore my previous argument that a pitcher can control how balls are hit and we’ll instead assume that all the fielding independence theories are true and we can predict a pitcher’s performance using only the statistics in the FIP formula. This introduces an immediate contradiction since none of the statistics used in the FIP formula (except HBP, which has the smallest contribution and is a prime example of lack of control) are in fact fielder independent. The FIP formula is not actually accounting for its intended purpose. The issue of innings pitched in the denominator has been addressed before. Fielders are responsible for collecting outs on balls in play which therefore determines how many innings a pitcher has pitched. However all three of the statistics in the numerator are also affected by the fielding abilities of position players, especially in relation to ballpark dimensions. Catchers’ pitch framing abilities have been shown recently to heavily affect strike and ball calls and could be worth multiple wins per season. Albeit rare events, better outfielders are able to scale the outfield fences and turn potential home runs into highlight reel catches. More commonly though, better catchers and corner infielders and outfielders can turn potential foul balls into outs. When foul balls are turned into caught pop-ups or flyballs, the at bat ends, thus ending any opportunity for a walk or a strikeout which may have been available to a pitcher with worse fielders behind him. This is particularly harmful to a pitcher’s strikeout total. 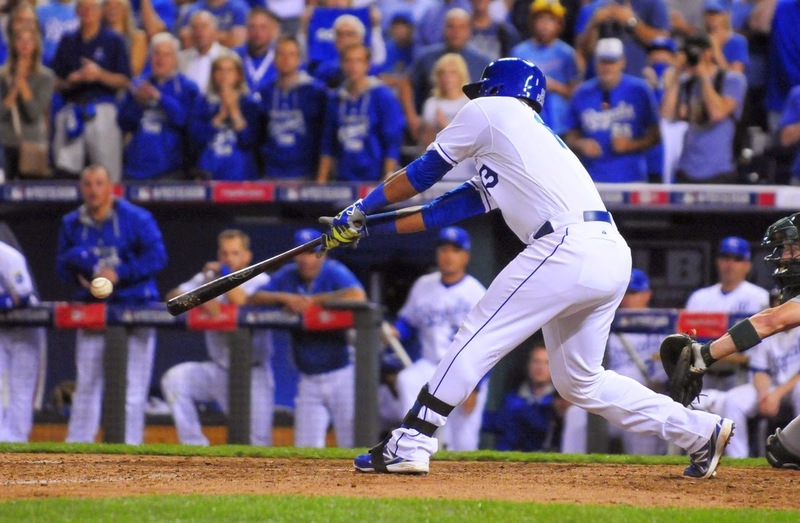 Whereas a ball landing foul only gives an additional opportunity for a batter to draw a walk, it also moves the batter one strike closer (when there are less than two strikes) to striking out. Similarly, instead of analyzing the effects of the fielders, we can look at the size of foul territory. Larger foul territory gives more chances for fielders to make an out since the ball remains over the field of play longer instead of going into the stands. Statistics like xFIP normalize for the size of the park by regressing the amount of flyballs given up to the league average HR/FB rate, however there is no park factor normalization for the strikeout and walk components of FIP. We can see the impact immediately by examining the Athletics and Padres, two teams whose home parks have an extremely large foul territory. By considering only the home statistics for pitchers who threw over 50 IP in each of the last five seasons, the Athletics pitchers collectively had a 3.25 ERA, 3.74 FIP, and 4.05 xFIP, while the Padres pitchers collectively had a 3.38 ERA, 3.84 FIP, and 3.86 xFIP. In both cases FIP and xFIP both drastically exceeded ERA. Also, of the 46 pitchers who met these conditions, only 9 pitchers had an ERA greater than their FIP and only 7 had an ERA greater than their xFIP, with 6 of those pitchers overlapping. This isn’t a coincidence. Although caught foul balls steal opportunities away from every type of batting outcome, it is more heavily biased to strikeouts since foul balls increase the strike count. The mathematics of the FIP formula may be my biggest problem with FIP, mostly because it’s the easiest to fix and hasn’t been. I’ve seen various reasons for using the (13, 3, -2) coefficients in derivations of the FIP formula. Ratios of linear weights, baserun values, or linear regression coefficients are the most common explanations. However none of these address why the final coefficient values are integers, or why they should remain constant from year to year. There is absolutely no reason why the coefficients should be integers. Simplicity is a convenient excuse, but it’s highly unnecessary. No one is sitting around calculating FIP values by hand, it’s all done by computers which don’t require such simplicity. By changing the coefficients from their actual values to these integers, error and bias is unnecessarily introduced into the final results. 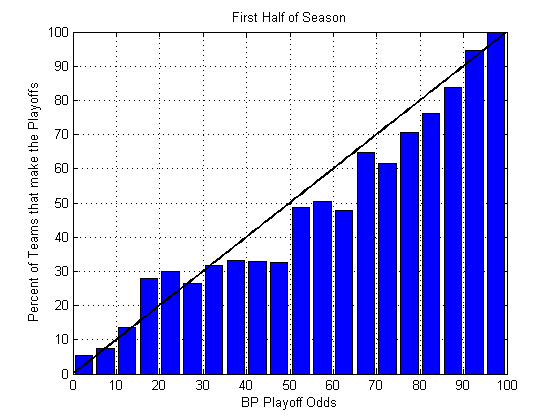 Adjusting the additive coefficient to make league ERA equal league FIP does not solve this problem. The baseball climate also changes yearly. New parks are built and the talent pool changes. This changes the value of baseball outcomes with respect to one another. It’s why wOBA coefficients are recalculated annually. However for some reason FIP coefficients remain constant. The additive constant helps in equating the means of ERA and FIP but there is still error since the ratios of HR, BB, and K should also change each year (or at least over multi-year periods). 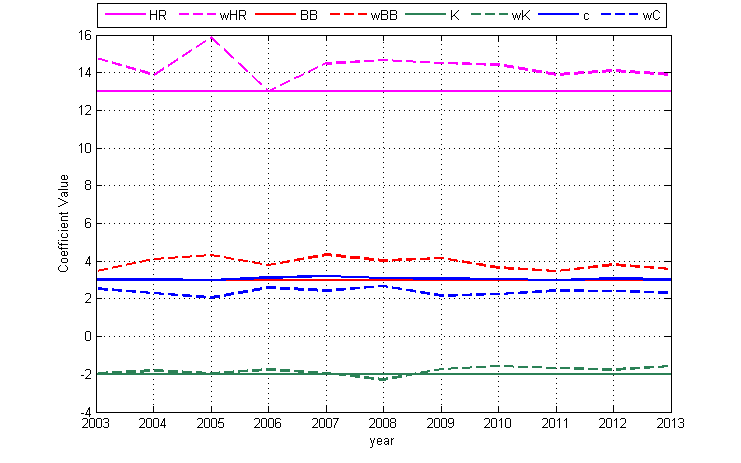 I’ve calculated a similar version of FIP, denoted wFIP, for the 2003-2013 seasons using weighted regression on HR, (HBP+BB), K, all divided by IP as they relate to ERA. If we treat each inning pitched as an additional sample, then the variance of the FIP calculation for a pitcher is proportional to the reciprocal of the amount of innings pitched. Weighted regression typically uses the reciprocal of the variance as weights. Therefore in determining FIP coefficients we can use each pitcher’s IP as his respective weight in the regression analysis. The coefficients for the weighted regression compared to their FIP counterparts are shown in the following graph. Ignoring the additive constant, since 2003 each of the three stat coefficients have varied by at least 22% from the FIP coefficient values and are all biased above the FIP integer value almost every year. In 2013 this leads to a weighted absolute average difference of 0.09 per pitcher between the wFIP and FIP values, which is about a 2.3% difference on average. However there are more extreme cases. Consider Aroldis Chapman, who had a 2.54 ERA and 2.47 FIP in 2013. On first glance this seems to indicate a pitcher whose ERA was in line with his peripheral statistics and if anything was very slightly unlucky. However his wFIP came to 2.96. If we saw this as his FIP value we might be more inclined to believe that he was lucky and his ERA is bound to increase. This difference in opinion would come purely from use of a better regression model, without at all changing the theory behind its formulation. That is a poor reason to swing the future outlook on a player. However even with current FIP values, no one would draw the conclusions I did in the previous paragraph that quickly. Upon seeing the difference in FIP (or wFIP) and ERA values, one would look to additional stats such as BABIP, HR/FB rate, or strand rate to determine the cause of the difference and what may transpire in the future. This in fact may be the ultimate problem with FIP. On its own it doesn’t give us any information. Even with the most extreme differentials we always have to look to other statistics to draw any conclusions. So why don’t we make things easier and just look at those other statistics to begin with instead of trying to draw conclusions from a flawed stat with incorrect parameters?